Since 1093, Lancaster Castle has protected the north of England from a Scottish invasion. Built on the site of an old Roman fort, it was confiscated by the Crown following an unsuccessful rebellion against King Henry I. Today it belongs to Her Majesty, Queen Elizabeth II. Lancaster Castle has a long history of dealing with criminals. The first Assizes (law courts for serious cases) began in 1166 and were held twice each year. And although the castle is still used as a Crown Court today, it recently stopped serving as a prison in March, 2011. The trials of the Lancashire Witches took place within these walls on two days of August, 1612. 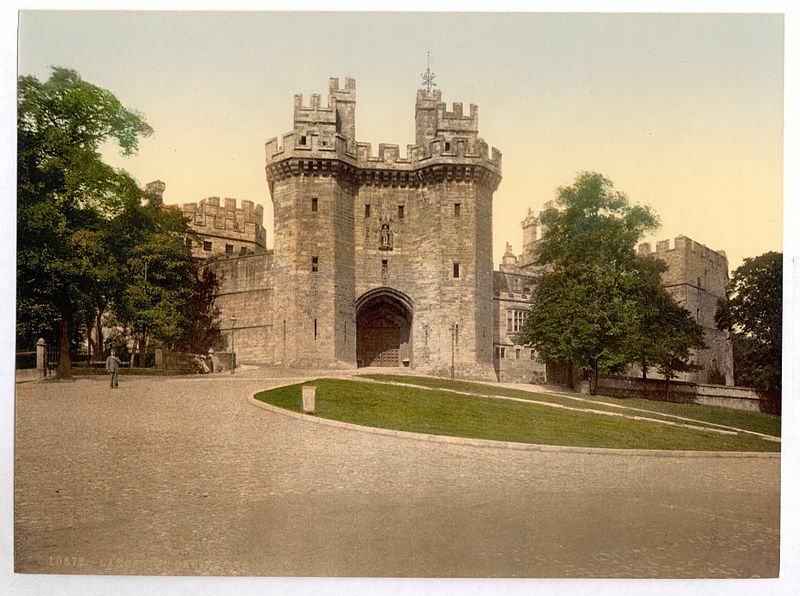 According to local legend the prisoners endured horrific conditions while imprisoned in the dungeons of the Well Tower. One of the matriarchs – Old Demdike – did not survive her incarceration. It is also estimated that around 200 official executions took place here over the centuries. Lancaster Castle is a fascinating tourist attraction for anyone interested in medieval history, crime and punishment, witch hunts, religious persecutions, and British heraldry. Yet children growing up in the area were told, No one comes out of that place the same way they went in – most of the prisoners supposedly turned mad. Today, the gray, daunting castle still dominates the quaint city of Lancaster from its perch on the top of the hill. And within its chilly walls lie many dark, unspoken wonders. This entry was posted in History and tagged Lancaster Castle, witch trials. Bookmark the permalink.